Essential oils of: Nutmeg, Bay, Lime, Clary Sage. 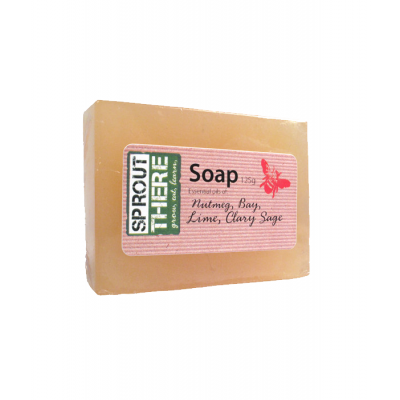 A truly natural soap. Handcrafted from scratch. Lovingly grown at our allotment, picked and packaged and ready to use.